April is Poetry Month. Take some time to celebrate with your students with a few of these titles. This is the picture book version of a poem that was originally published in a collection of poems, Honey, I Love and Other Love Poems in 1978. 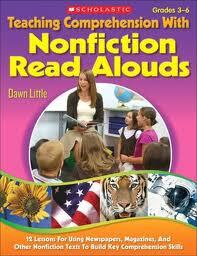 This is a wonderful mentor text for listening to poetry read aloud, listening for the rhythm and rhyme in the poem. Teachers may want to use it as a mentor text for developing a writing piece based on “little moments” or as a personal narrative/memoir type writing piece. “The words can come from a memory, or a dream, or something I see or hear or wonder about or imagine. . . ” states Greenfield in her author’s note. In this collection of poems, she celebrates the written word and invites readers to look within themselves and discover what inspires them. A wonderful mentor to help students develop their own ideas through the written word and specifically through the genre of poetry. In My Chinatown: One Year in Poems , the author explores a boy’s first year in the United States, after emigrating from China, as he grows to love his new home in Chinatown. Through beautiful paintings, and sparse text, Kam Mak pays homage to family, culture, and a childhood spent in Chinatown. This is a perfect mentor for many of our students in the United States today as they emigrate from their home countries and try to understand and live within an American culture, while not forgetting their own heritage. This Is the Earth takes readers on a journey through hundreds of years as it explores how humans have affected the environment and shows the ways in which we can all care for the planet. Wendell Minor’s beautiful paintings and the authors’ spare, rhyming verse work beautifully together. This is a perfect poem to read aloud on Earth Day. Disclaimer: I received these books from the publisher for review.